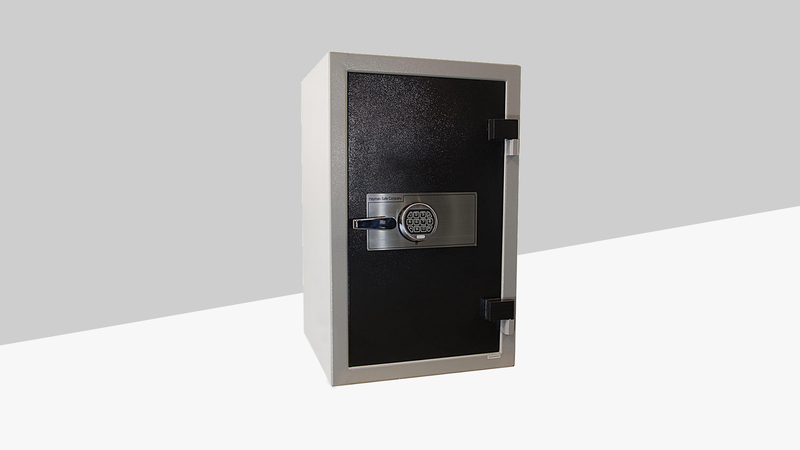 The CashVault general purpose line of safes offer simple functionality with excellent protection at a great price. The safes feature a variety of security (auto-locking system), spring loaded relocking system and hardened drill resistive hardplates to ensure your valuables are kept safe. Commonly these safes are used for protection from burglary when fire protection and depository features aren't required. By keeping the safe simple, we can offer them at an excellent price without sacrificing quality. We've taken every effort to ensure the highest level of quality craftsmanship, including in every safe large hinges on a replaceable bearing washer to easily hold up on the most strenous use and a powder coat finish that makes cleaning easy and provides a lasting finish. Half inch think solid steel door, provides excellent protection from attack. Hardened drill resistive hardplate to prevent drilling into the lock. Spring loaded relocking system to lock down the safe if the lock is attacked. Reinforced door frame to resist prying. Auto-detent (auto-locking system) will automatically extend the boltwork when the door is closed. Durable powder coat paint is easier to clean and longer lasting than most other paints. Model Outside Dimensions Inside Dimensions Cu. Ft. Lbs.